For this edition of 'Show & Tell' I'm taking part in the Blog Hop to celebrate the latest book from Sarah Shrimpton (of Annaboo's House). 'Supersize Crochet' includes 20 quick crochet projects all made from super chunky yarn. I have already been through the book and picked out my three favourite projects to show you, but first let me tell you a bit more about the collection. Supersize crochet is exactly what you’d expect; it’s about creating show-stopping pieces which use chunky, mega chunky and truly mammoth yarns and changing the way you think about crochet forever. The designs and colours are contemporary and include all sorts of different yarns. I’ve chosen a variety of different yarns for this book, all readily available and classed as ‘super chunky’ or ‘super bulky’. Some yarns are acrylic-based (hard-wearing, vegan-friendly and cost-effective) and some have a generous smattering of wool content to keep you warm and add a touch of luxury. There’s also plenty of cotton, including the on-trend T-shirt yarn (recycled and affordable) to provide structure for some of the larger projects. If you're a fan of upcycling, there is also a step-by-step guide to making your own yarn from unwanted t-shirts. As you might expect, the book includes clearly written patterns (with lovely photography), tips for working with large hooks and yarn and a section on the different techniques used throughout - everything from getting started to the different stitches used. 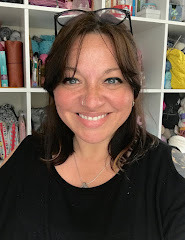 It's worth noting that the patterns are written using UK crochet terms (Sarah is based here in West Sussex) and there is a chart detailing the US equivalents. 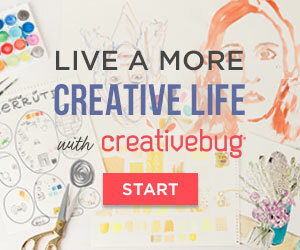 I'd say that these projects are suitable for anyone with a basic understanding of crochet and a little experience. Not because they are in any way difficult, but because it's quite hard work working at this scale, and I think it will be easier to manage, if you can already crochet. So on to my three favourite projects. It was hard to limit myself to three, actually, because I like so many of them! First up, the Moroccan Pouffe which uses chunky yarn for the base, and a combination of chunky yarn and double knit for the top section. 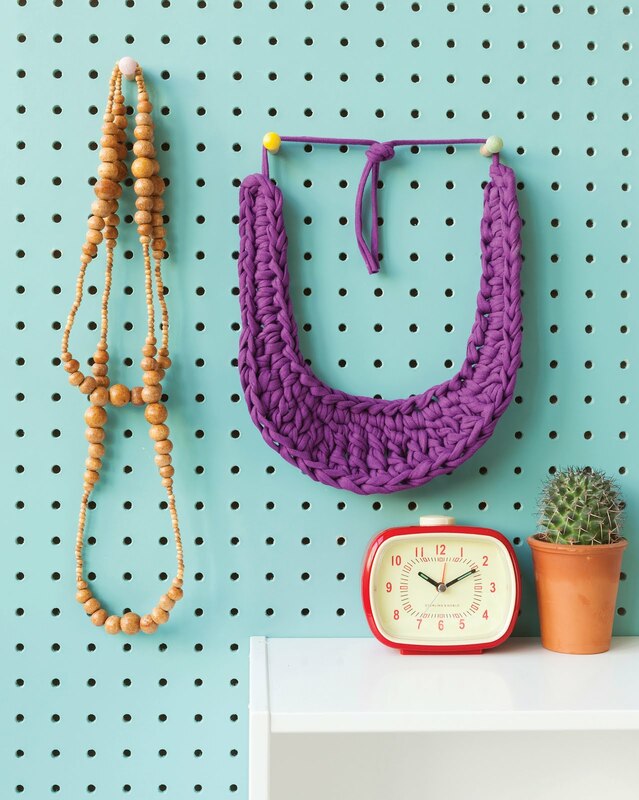 I think you could get some fabulous colour combinations on this project using leftover yarn and t-shirts. This necklace is likely to be on my hook - and neck - before the end of this week. Regular readers will know I'm a big fan of statement necklaces (see here, here and here) and love a quick project like this - so it ticks all of my boxes, and there's nothing like a new piece of jewellery to brighten up the 'same old' clothes! For my third choice, something useful. 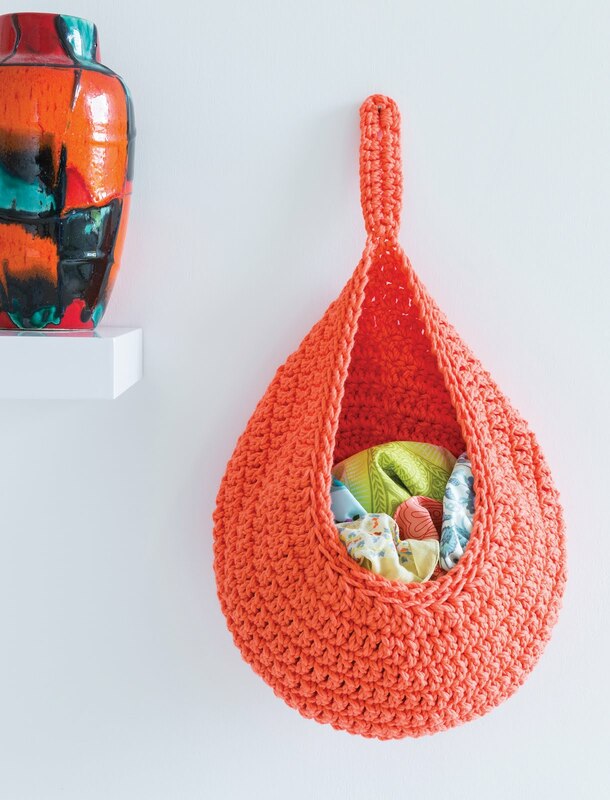 I would love one of these in the utility room for the carrier bags to live in, and maybe a few in my studio for project bags and scarp yarn to go in. Now I just need some time to make them. You can see the other patterns from the book on Ravelry. 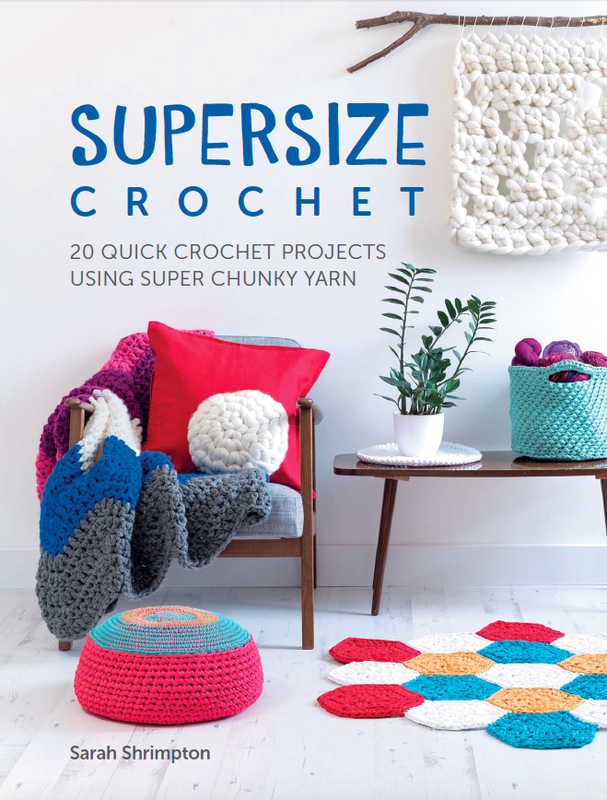 'Supersize Crochet' will be widely available from May 26th but if you order HERE you can get it sooner! In the meantime, you can visit Sarah's blog, and find her on Instagram, Facebook and YouTube. You can also find the list of all the blog hop participants, and links to their posts, here. Thanks so much for taking part - I really appreciate it! 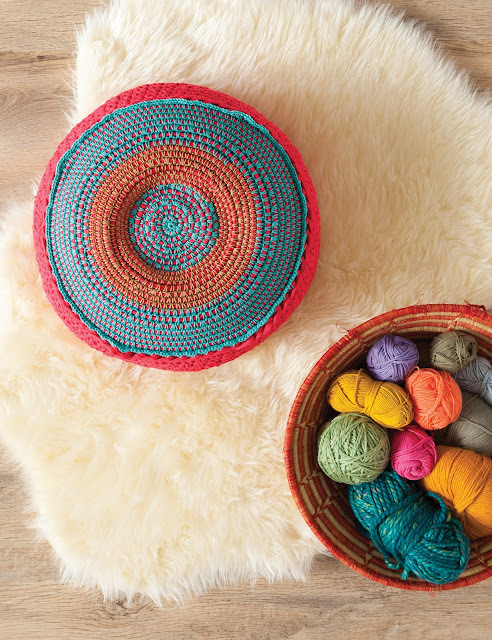 I think the Moroccan pouffe is one of my favourites, too! Looks like a book I need to add to my list!